While North Carolina leaders address a multitude of problems behind the state’s prison walls, a new national poll shows growing support for criminal justice reform. Top corrections officials in North Carolina agree. Insufficient staffing and poor training are alarming trends inside state prisons, N.C. Public Safety Secretary Erik Hooks said during a Jan. 25 presentation before members of the General Assembly. Underfunding, insufficient mental health treatment, and over-reliance on solitary confinement are big issues, too, said Chris Brook, legal director for the American Civil Liberties Union of North Carolina. Hooks, who took office one year ago, faced two prison tragedies early on. Five prison workers died in attacks at Bertie and Pasquotank Correctional Institutions in April and October. Several other employees and inmates were hurt. The year was one of the most violent in North Carolina corrections history, but problems have gone on for years, Hooks said. 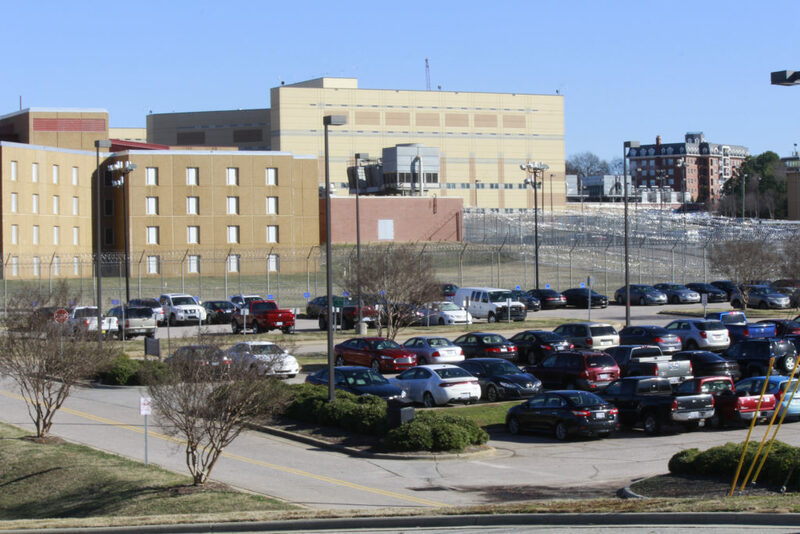 In 2014, a horrific ordeal at Alexander Correctional Institution in Taylorsville resulted in the death of Michael Kerr — a 53-year-old schizophrenic — during his transfer to Central Prison hospital in Raleigh. In September 2012, inmates at Lanesboro Correctional Institution stabbed a member of a rival gang 13 times with crude shank knives. The event is just one of many investigated by the Charlotte Observer since 2015. Last year, Hooks ordered a top-to-bottom evaluation of the N.C. Department of Public Safety. The agency is fueled to “bring about substantive change to make our prisons safer,” he said. Security and staffing at Pasquotank are a mess, a report from the National Institute of Corrections shows. Prisons are home to the state’s most dangerous criminals, and staff safety is a priority, said Kenneth Lassiter, director of prisons at DPS. The state must hire more corrections officers and beef-up security measures, said another review commissioned by the N.C. Governor’s Crime Commission. But the system should also focus on rehabilitating people to become productive, law-abiding citizens, Brook said. An overwhelming majority of Republicans and Democrats agree. Ninety percent of Americans think “we should break down barriers for people coming out of prison so they can get jobs, support their families, and stop being so dependent on government services,” the survey states. Another two-thirds of voters support practices allowing job applicants to discuss their qualifications before they’re asked about criminal records. North Carolina falls short on inmate rehabilitation, said Susan Pollitt, senior attorney at Disability Rights North Carolina. The corrections system is the largest mental health provider in the state. Yet there are few treatment programs, and social workers are overloaded — and in short supply. Among roughly 37,000 prisoners, about 5,000 are locked in solitary confinement. More than one in five of those prisoners suffer mental illnesses. Isolation is used to punish inmates who suffer psychosomatic episodes. Most of the time, isolation worsens their condition, said Pollitt. Prisoner violence and staff safety is a serious issue, Brook said. But since most prisoners end up back on the street, North Carolina should focus on retraining inmates for life on the outside.